Camelopardalis - I was wondering about the name, as it has been as long as the giraffe's neck, when I came across this ! The giraffe's species name, camelopardalis (camelopard), is derived from its early Roman name where it was thought of as a composite creature, described as having characteristics of both a camel and a leopard. 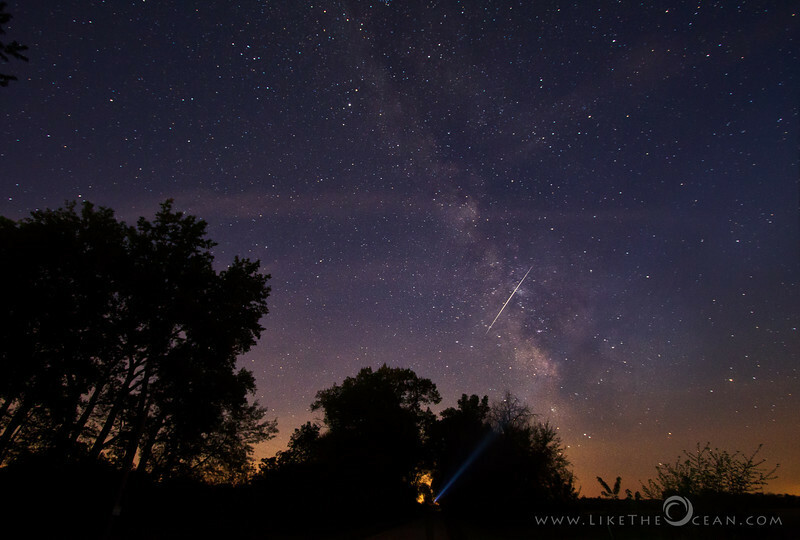 The forecasted peak time for the meteor shower was from 1 –3 AM CST. It was not as much as hyped (~100 / hr), but the night was still clear and Milky way was magnificent. Around 4 AM, took out my flash light and started playing to get a star war style crisscross with the milky way. Just then the celestial gods decided to bless – look - a shooting start in the same direction my camera was positioned, as if to slice the Milky way. Note: Are you just getting started with night photography ? Do check out this article !